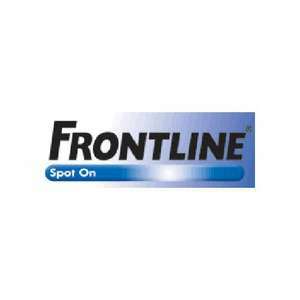 Half price frontline. Various sizes and quantities available. Can't be bad at this price! Collection from instore or order online free delivery for £40 orders, or £2.95 delivery if under. There was also a voucher in the Daily mirror giving an extra £2 for instore. Good price, but I find this stuff doesn't work anymore. It used to, but over the past few years I have found the damn fleas have become resistant to it. I think the new, more expensive Frontline (plus?combo?) is supposed to be OK, but haven't tried that one yet. Oh, and you do know that the dog and cat Frontline are exactly the same ingredients? At least the old stuff was. I used to buy the XL dog one and measure one pipette out between 2 dogs and two cats! Saved a fortune doing it that way. Be careful doing this though, as some flea treatment brands do use different ingredients and it can be harmful, particularly using dog stuff on cats. I order mine from petmeds they do this price all year round.